The New Moon in Pisces begins a 29.6-day cycle with an emphasis on dissolution, release and surrender. This is a time when there is a more-than-usual need for inner quiet and concentration. You can tap into your creative imagination and/or get in touch with your spiritual path. Your dreams contain the seeds of your future accomplishments. Let your intuition guide you through illusion. This Pisces lunation cycle begins with a sense of confidence and a futuristic orientation, the result of unexpected changes and feelings of optimism (Sun & Moon semi-sextile Uranus, Mercury & Venus semi-sextile Neptune). There are feelings of excitement stirring the desire for action (Mars at the Anaretic, or final, degree of Sagittarius). The desire for action becomes emphasized by the Sun’s ingress to Aries on March 20. However, moving forward requires letting go of the past, especially those wounds from the past that have recently come to light. Mercury begins its retrograde cycle on March 22, putting a theoretical stop to future plans and allowing you to put your energy into gathering information to better understand your own attitude, areas of passion and deeper motivations. Be discerning about how you invest your time. Be practical; prioritize your responsibilities. Invest in yourself this cycle by preparing for a fresh start with the Aries lunation cycle that begins on April 15. The more connected you are to your center, the easier it will be to adapt to new information. The simple rituals of daily life provide the grounding necessary for balance. Good health, altruistic service, and productive employment support success. Pay attention to signals from your body that it needs care. If you find yourself physically fatigued, emotionally overwrought, or mentally tense, take a few minutes to sit still, breathe, and center. Focus on your heartbeat. This is an excellent cycle to examine your belief system, your spiritual practices, how you deal with anxiety and uncertainty, and your escape mechanisms and tendencies. Appreciate the mystery of each moment. Give yourself as much alone time as possible and listen to the voice within. The elemental emphasis this cycle suggests mixing sound with movement. Whether you choose a primal beat or a gentle melody, put your mind at rest and let your body respond. Magic happens in such moments. The Full Moon phase, March 31 – April 2, will bring the awareness necessary to assess and determine the direction of this year’s new beginning. How do you access the sacred space within? What triggers your doubts and feeds your anxieties? Where do you look for healing? When do you feel most protective of your privacy and why? What is your dearest illusion? How can you express your unique gifts in a way that serves the whole or holy? I revel in the mystery; it is the sacred space where I am revealed. “The Universe is a continuous web. Touch it at any point and the whole web quivers”. 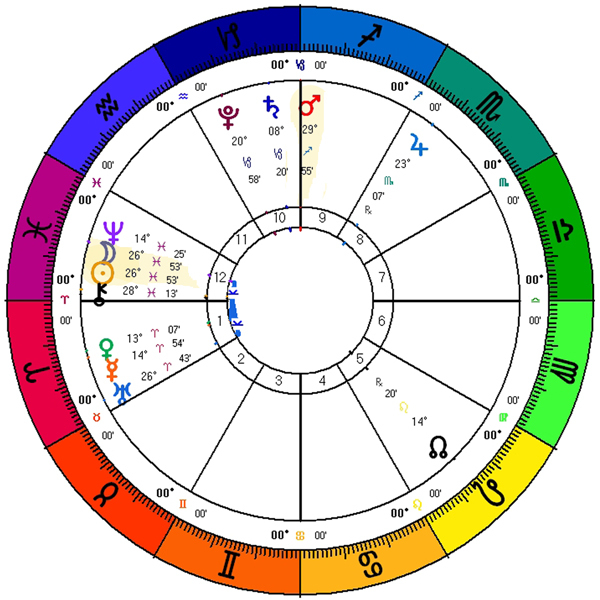 More on the Zodiac sign of Pisces including the astrological, tarot, medicine wheel, and miscellaneous correspondences. 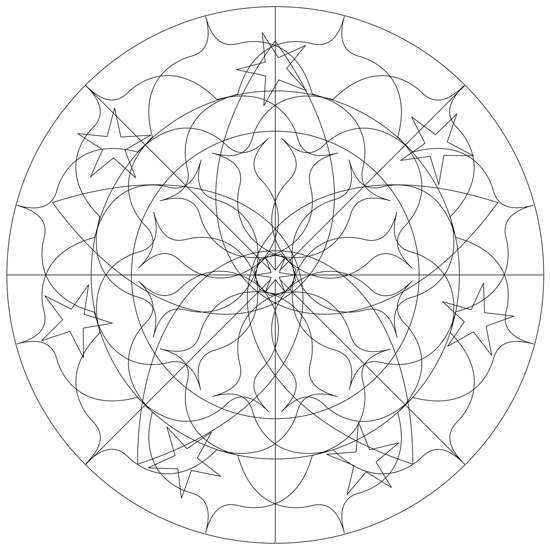 A mandala is a powerful device for creating and focusing on sacred intentions. We encourage you to create and color your own mandala or print out and color our mandala based on the geometry of the Pisces New Moon on March 17, 2018.